One of the sights you absolutely have to see when in Oslo is the Opera House. 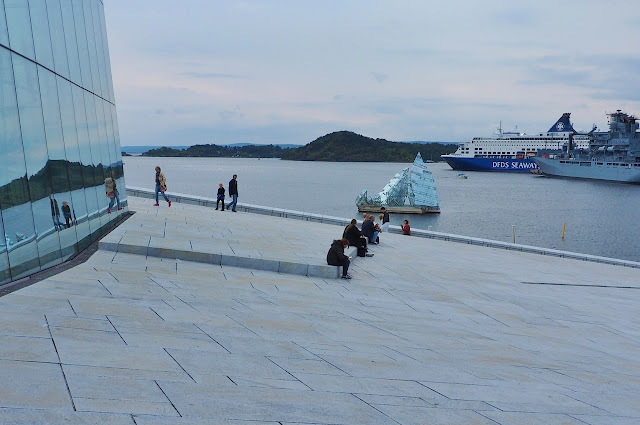 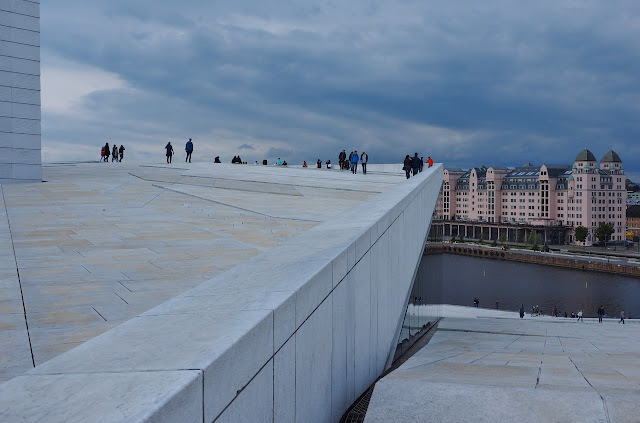 It is an amazing structure of white Carrara marble and white granite that seems to be rising from the bottom of the Oslo fjord with a large cube of glass emerging from the slope of stone. The Opera House has become a popular public space for both locals and tourists. 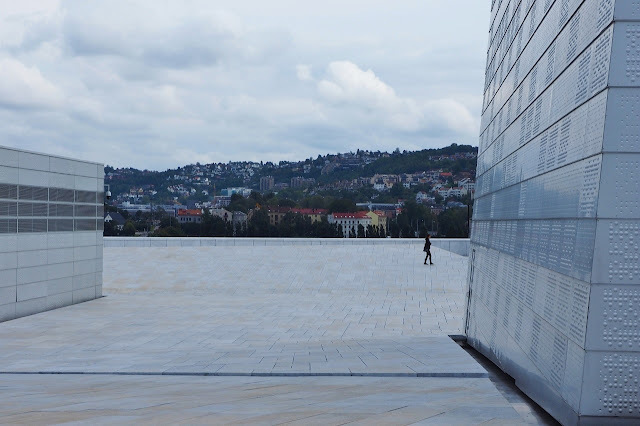 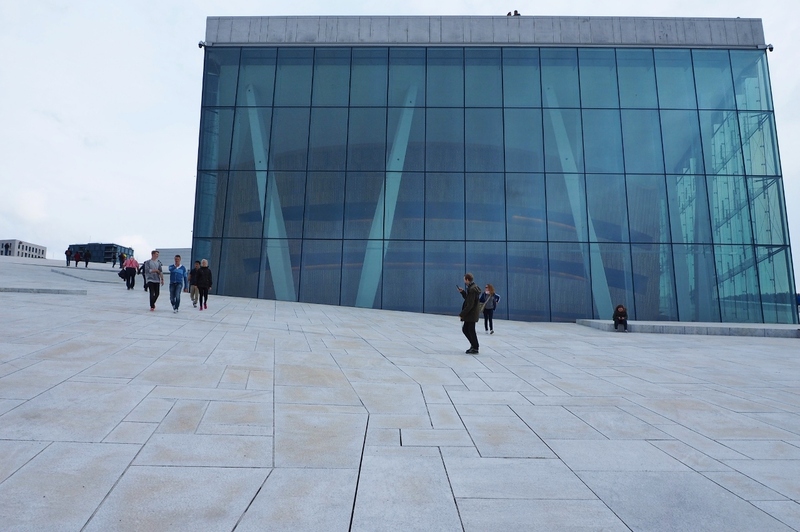 The most striking feature of the building is the modestly sloping roof on both sides of the glass structure inviting you to climb to the rooftop to admire the views from the huge piazza you will find there. 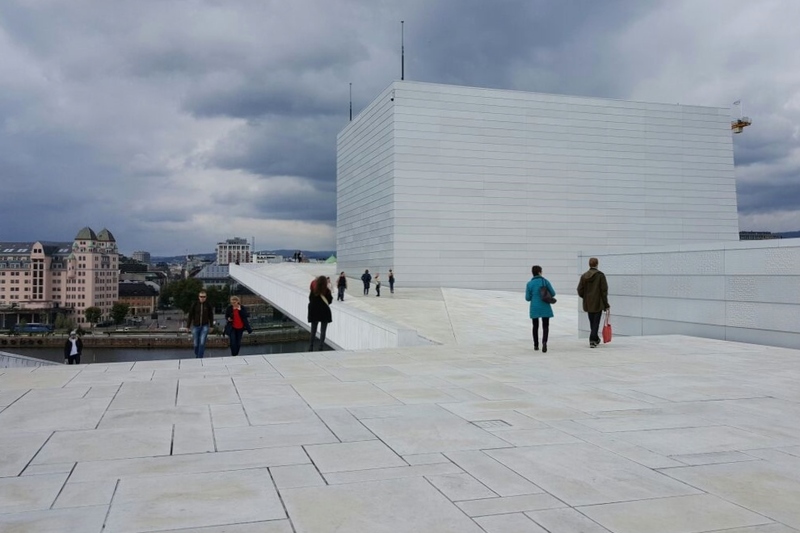 The box revealing itself in the middle of the roof is the stage tower in white aluminium. Every detail of the interior is equally carefully designed to create a complete work of art. 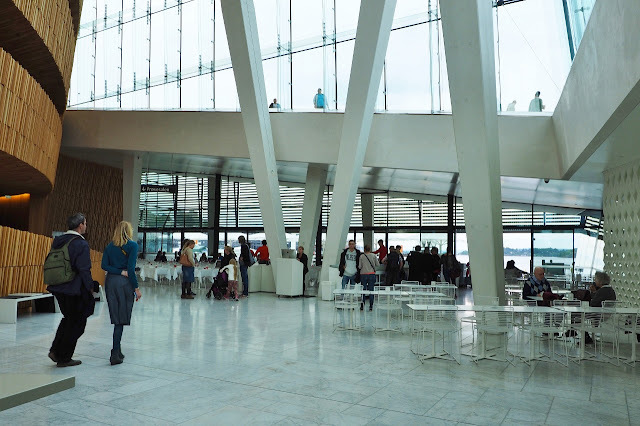 The high lobby with its white stone floor, unobtrusive white-painted pillars supporting the building and large windows with minimal framing feels airy and light but also welcoming thanks to the waving structures of oak bringing warmth to the space. 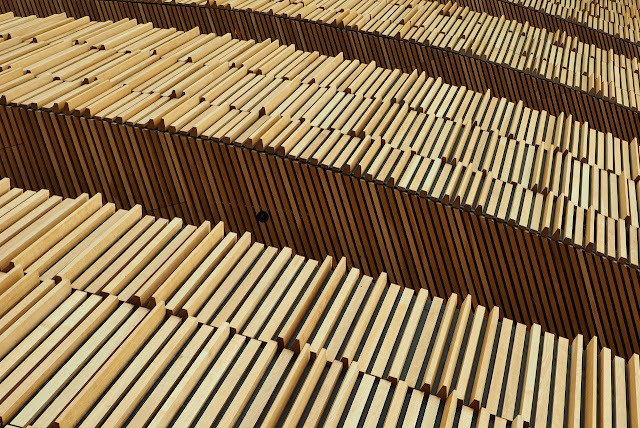 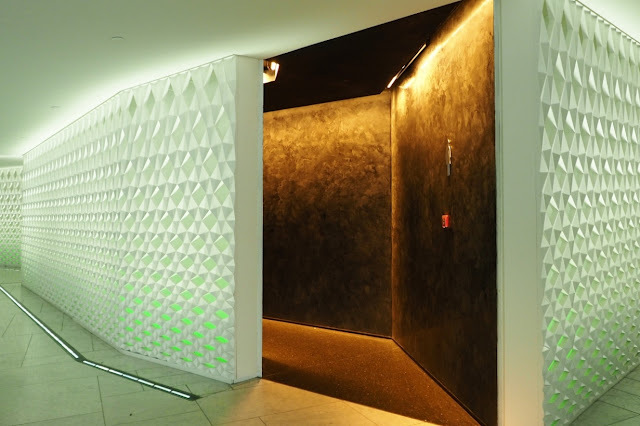 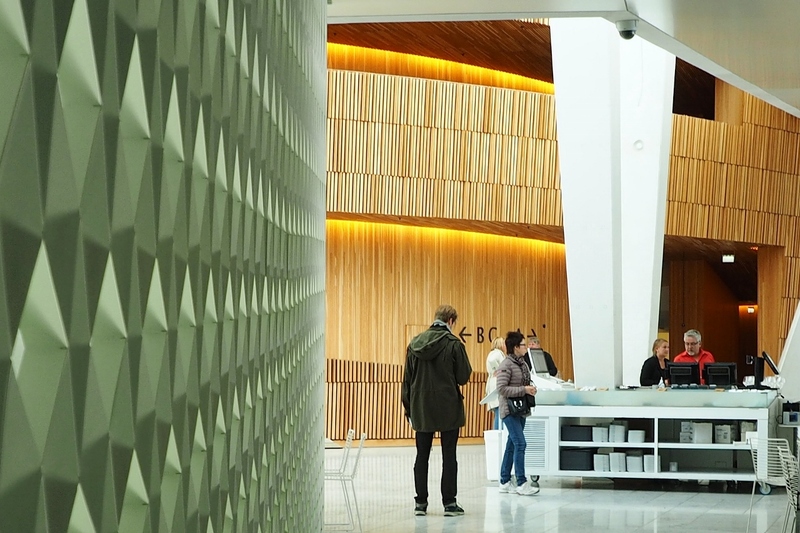 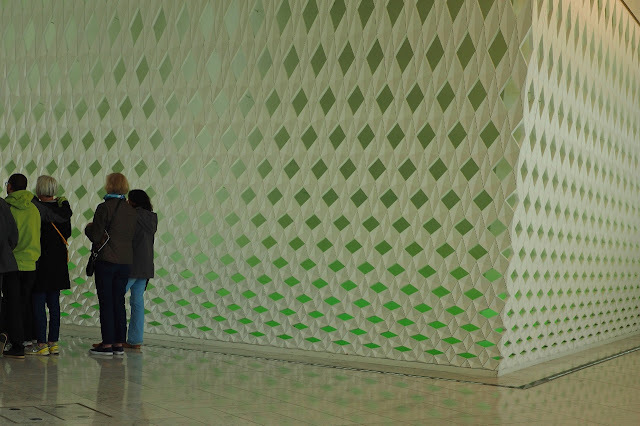 The perforated wall panels designed by Olafur Eliasson hide some of the roof supports. 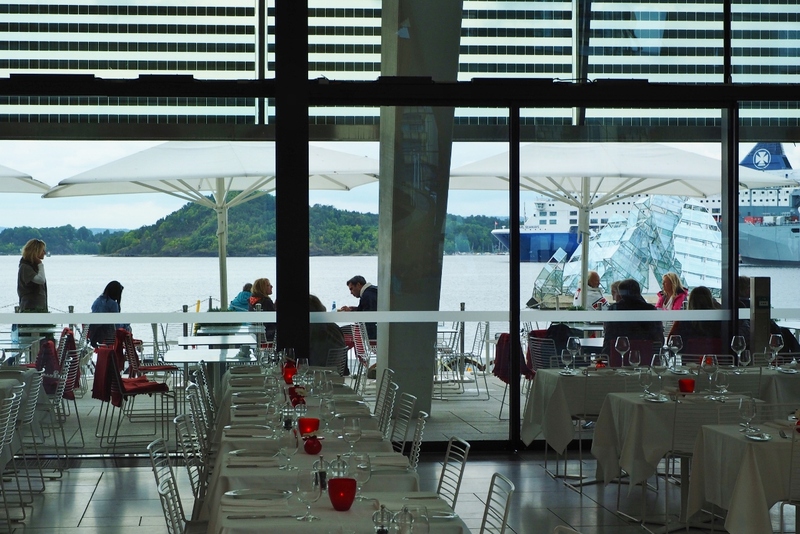 The restaurant on the waterfront side of the building stretches out to the pavement. 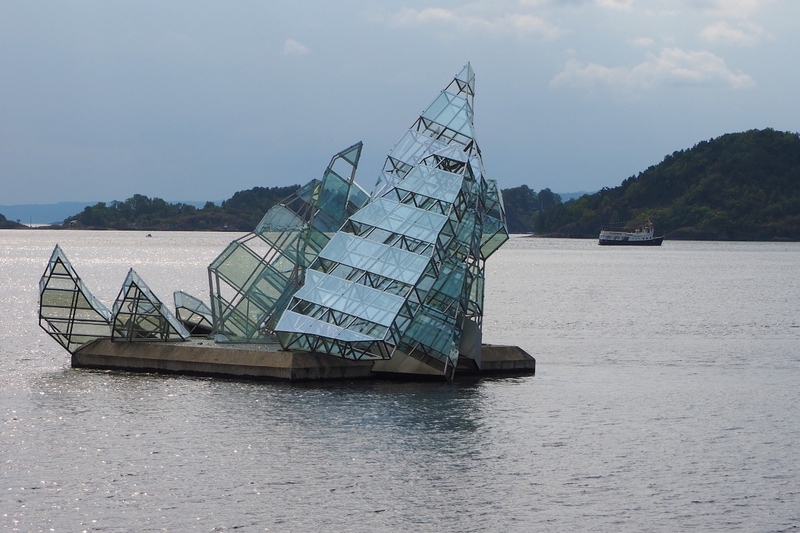 The stunning sculpture of glass and steel floating on a concrete platform in the fjord in front of the building was commissioned from the Italian artist Monica Bonvicini. 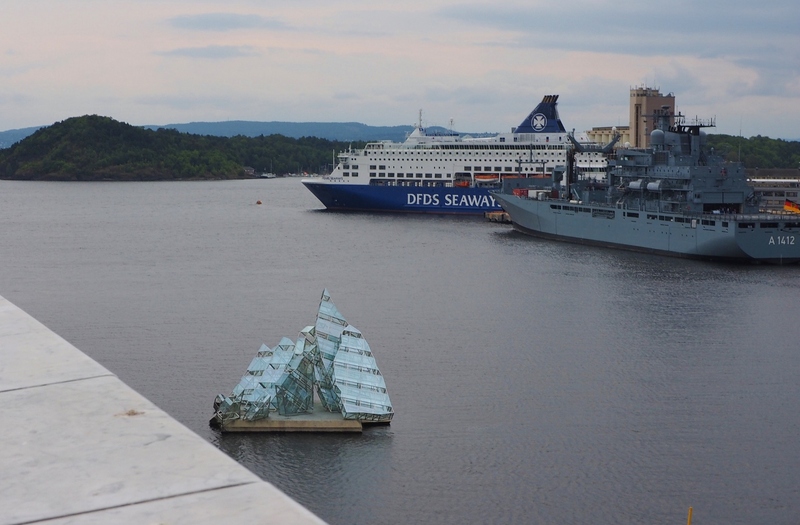 It is entitled ‘She Lies’ portraying a slanting sailing ship but also an iceberg as it was inspired by a painting of ice (the one under the link here). 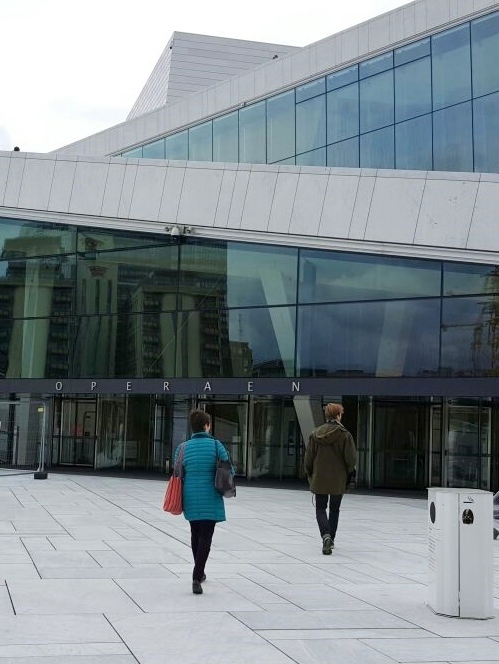 The Opera House was officially opened in 2008 but part of the surrounding area is still under construction. 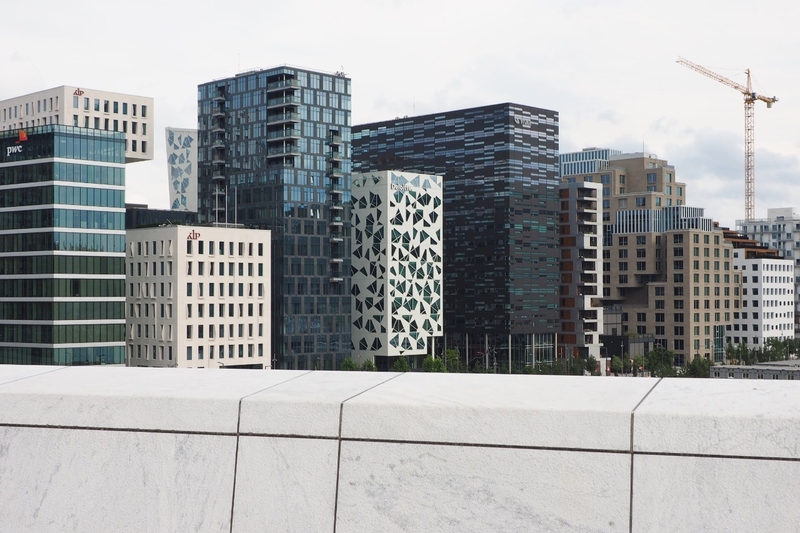 The controversial Barcode Project, a group of high-rise buildings best visible from the Opera rooftop, will be completed soon. 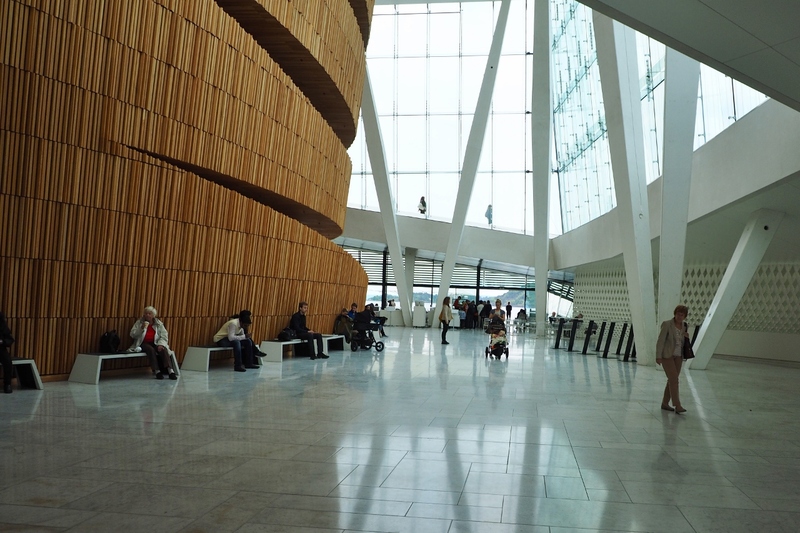 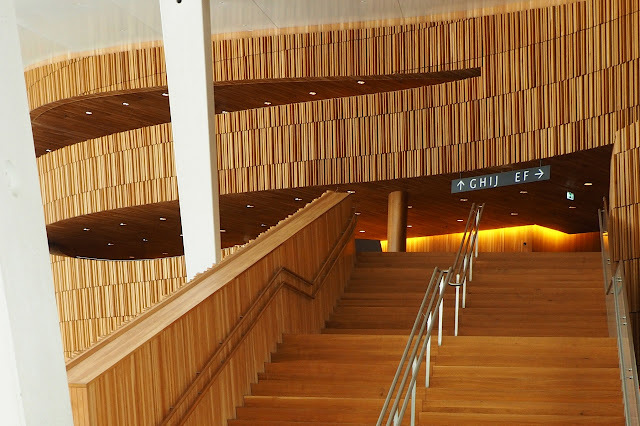 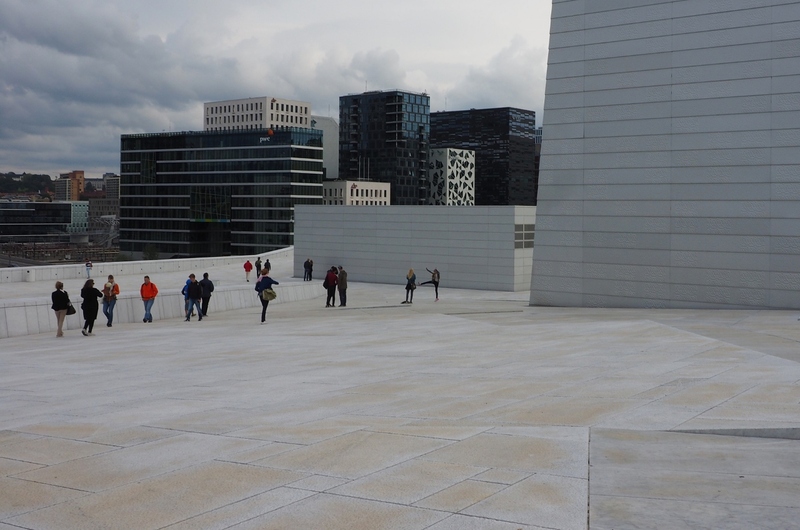 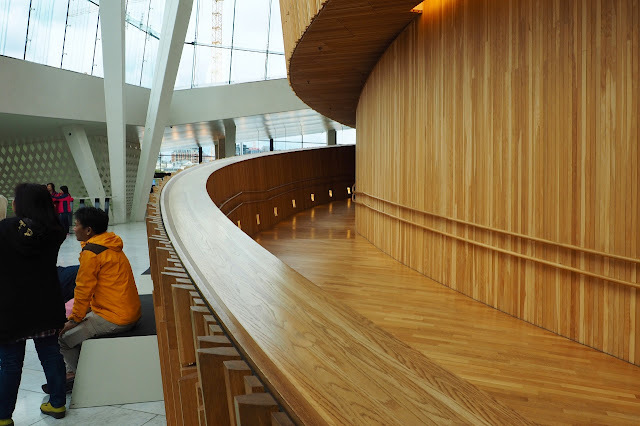 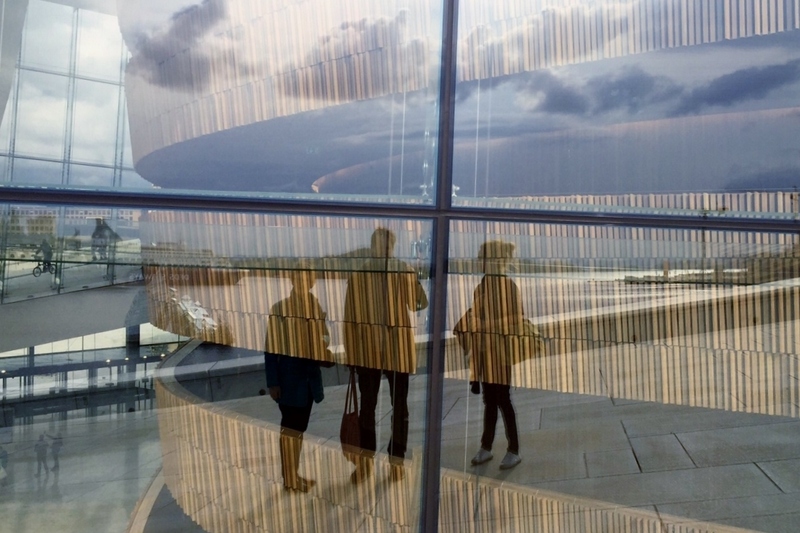 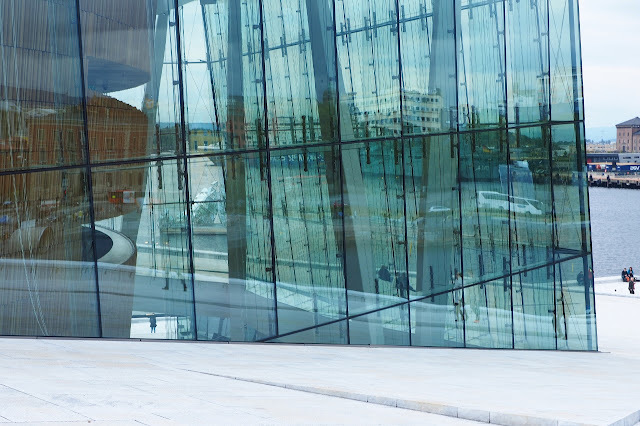 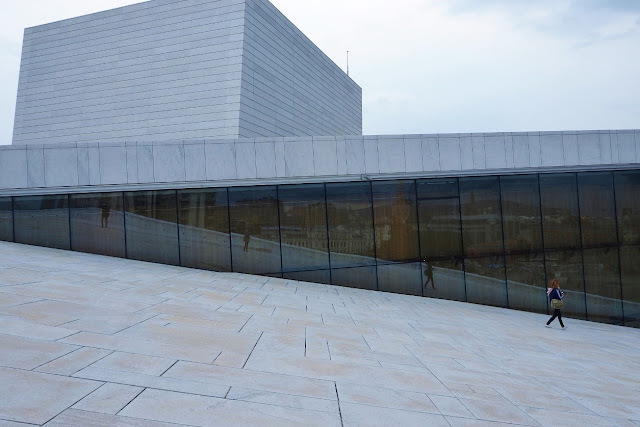 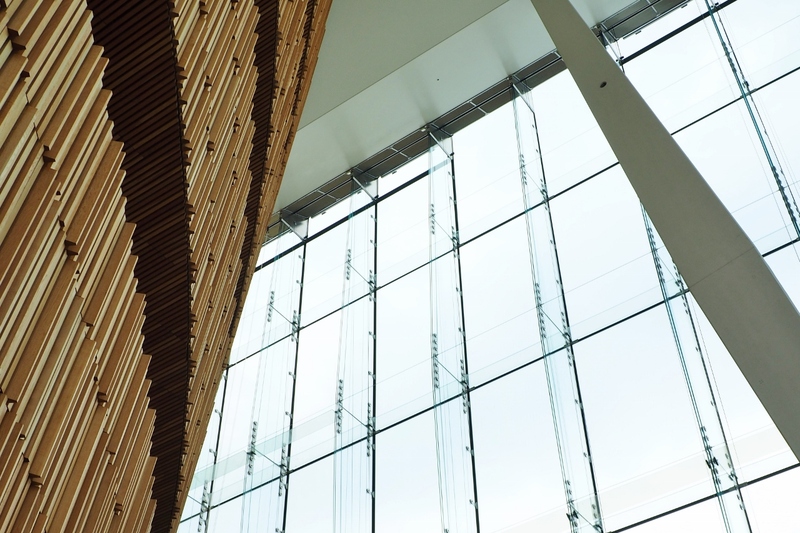 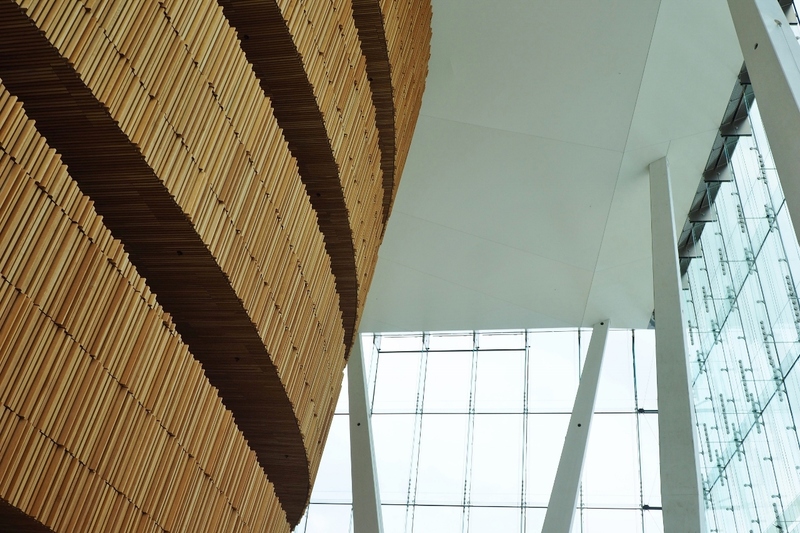 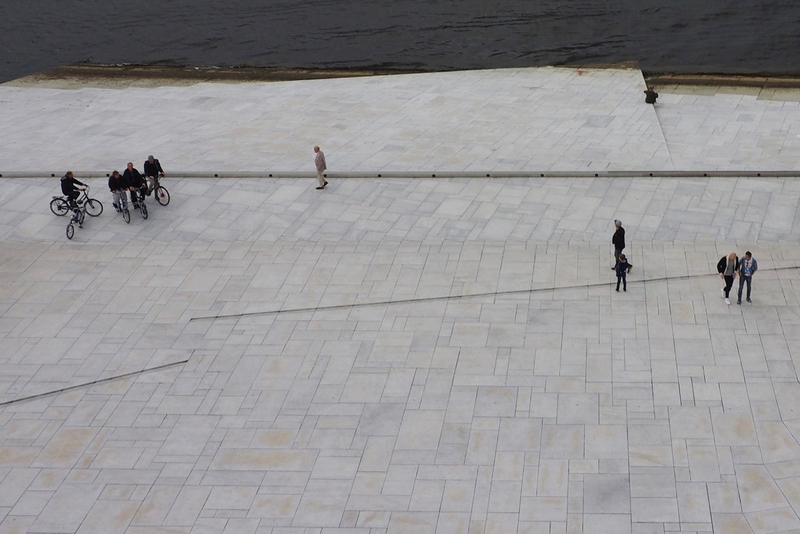 The Oslo Opera House is a truly amazing and high-flying building complex. I am not surprised Snøhetta, the acclaimed architectural company lending its name from one of the highest peaks in Norway, won several international awards with this grand design. 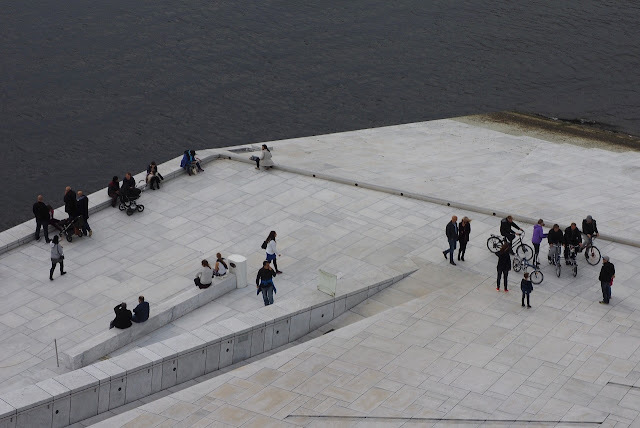 I would love to return one day when the whole neighbourhood is completed to see the site lit for an evening performance. 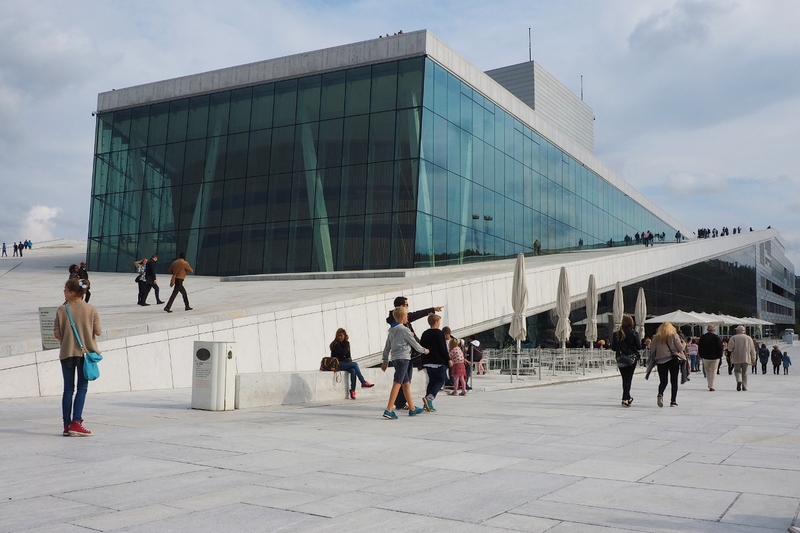 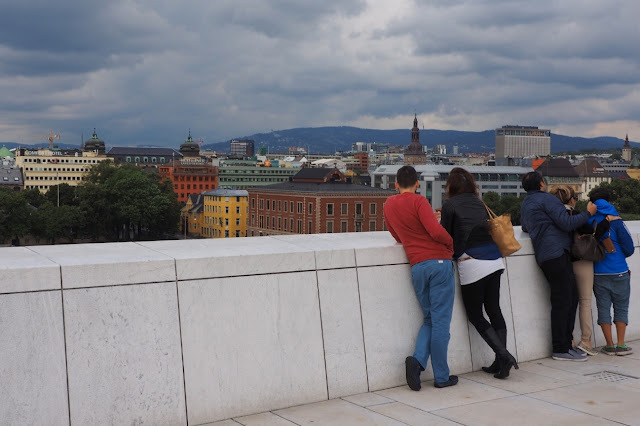 This was my first visit to Oslo since childhood - we only travelled to the ski resorts when my children were young - and I liked it a lot.